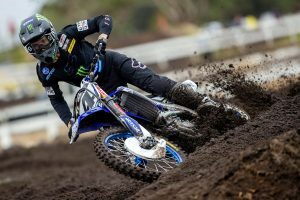 Wonthaggi’s double-header stop of the Pirelli MX Nationals saw CDR Yamaha Monster Energy Team’s Dean Ferris continue his unbeatable streak, notching up four moto victories over the two-day event, while a real shake-up in the MX2 category enabled Serco Yamaha’s Wilson Todd to exit the weekend with an overall victory and the points lead. It was obviously another perfect weekend, congratulations on the result and you must be pleased to get another four race victories under your belt. Yeah, thanks. I’m definitely really stoked, everything’s going to plan and all the hard work from the off-season from myself, my trainer, my osteotherapist and the whole CDR Yamaha Monster Energy Team is really paying off. I really enjoyed it, and like you said, I got into a flow straightaway – I was fastest in practice on Saturday, I was good in qualifying and went 1-1. Sunday was flawless, I brought on a bit of experience from the grand prix and racing two days in a row – I made sure that I definitely remained hydrated, ate enough food and recovered well. I spent a few hours on Saturday recovering to make sure I was going to be tip-top for Sunday. 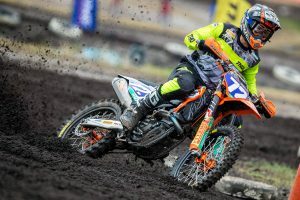 As for the rest of the double-header, I was stoked to see Wonthaggi put a lot of sand into the track and I felt like the club did a really good job there with the way they were able to get the track prepped up for Sunday – it was a really positive experience. I saw a few different recovery strategies from riders across social media, some were doing ice baths and cycling on stationary bikes, what was your strategy to be in such good shape for Sunday? 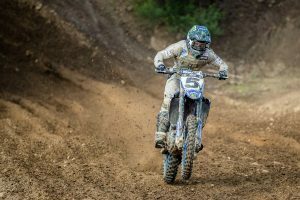 I have a few little tricks that I’ve learned from Guy Andrews over time because he was obviously doing a lot of races back to back. I just made sure I replenished myself straightaway, and it’s no secret that I spend a lot of time on the [cycle] bike at the races. I was making sure everything was organised in terms of my food and recovery drinks – making sure they were all lined up in advance and organised was key. Do you think the double-header format was a success? Is it something you’d like to see introduced more often in the championship? I believe it’s really good, especially with the economy we’re in – it’s something that’s needed and I think it worked well, especially having it the week before Murray Bridge as well – a lot of the teams and privateers are already down that way, so I think it saves on budget immensely. I think it’s necessary at this point in time. You’re undefeated so far in the championship, has the thought of a perfect season crept into your mind at all or are you firmly focused on the ultimate goal, which is of course securing the title? I haven’t even thought about that – I’m just always focused on what’s in front of me at the time. Like right now, I’m just focused on my next training session and I’ll worry about the racing on the weekend. It’s one step at a time and there’s still a long way to go in the championship. But, it’s all going well, so we’ll keep doing what we’re doing. An awesome day today and a really good performance, it was obviously the result you were looking for. Yeah, definitely. I pulled a start yesterday up the front and I was able to get some clear track – once I got some clean air for the first time, I was able to show why I’m here and what I can do. I came into today, pulled a hole-shot and held it for the whole race. I pumped up a bit, but I was pretty confident no one was going to get around me as tough as the track was. In the second race I pulled a hole-shot and put down some fast laps towards the end. 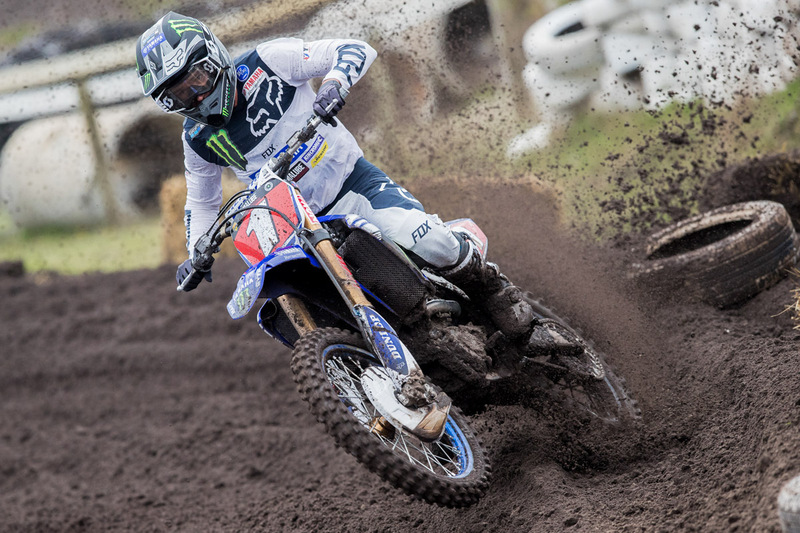 What were your thoughts on the double-header format with four motos over two days? I love the double-header, mainly because I get to ride the day before the next – it helps me out a lot with my arm-pump issue. I rode on Friday and then both days this weekend, so coming into that last race I was sweet – it’s the best I’ve ever been really. And for the championship it’s obviously been a really valuable weekend for you now with the red-plate, did you expect that you could be in that position leaving this round? Nah, I didn’t really have any thoughts on the red-plate or any intentions to get it. 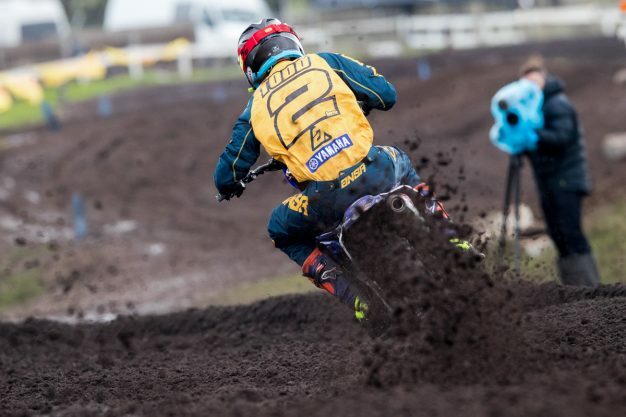 I wanted to win all four motos here at Wonthaggi, but I pulled such a bad start on the first day and made it so hard for myself, but I’m happy to come away with three wins. Yeah, of course. I’ll head to Murray Bridge and try my best again.